Looking to add a little spark to a date night in or a get-together with your closest friends? 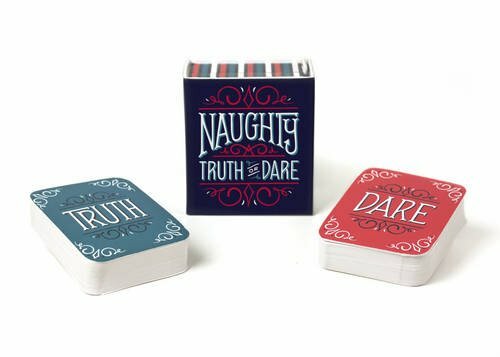 Crack open Naughty Truth or Dare for 104 juicy prompts to get the party started! No longer must you rack your brain for the perfect “truth” or “dare”—simply close your eyes, draw a card, and let the fun begin. Kit includes 52 truth” prompt cards, 52 dare cards, and one instruction card.